Cardinal Management in Indiana is in the business of making everyone happy-- that includes clients, investors, and regular people from the community who may need a little help getting back on their feet. Cardinal Property specializes in connecting investors with distressed homes that need lots of care and renovation, and in turn, helping community members purchase the home on a contract or with seller financing. Cardinal Management's Managing Partner is Mark Groff, a licensed broker and an investor himself. 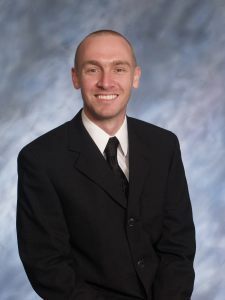 Mark has been an investor for more than 15 years and a broker for more than four years. Cardinal Management also has Kali Clark as their Client Care Manager and Kurt Beard as their Property Management Director. Kurt Beard is in the business of making everyone's lives easier. This time, that meant finding better ways to share information about properties, connect with investors, and eliminate time-wasting methods that aren't serving to advance the company. Kurt wanted to automate a process that was previously being performed by hand and on paper. Once an investor agrees to invest in a property, the Cardinal Management team works to find a qualified buyer who is willing to renovate it and make it home. After meeting the terms of the contract, usually 5-16 years, the buyer owns their own home. Kurt needs to exchange information like inspection photos, addresses, payment data, and land contract materials. He wasn't able to do this efficiently before with the paper method-- in fact, he and his team would have to keep track of piles of papers, many of which would get lost in the fray. Kurt built an app with the Google Sheets add-on. Some experimenting led him to realize a DIY mobile app could solve most of his data sharing and connectivity needs. He played around with the app he created from his spreadsheet and implemented some cool features that would display data efficiently. 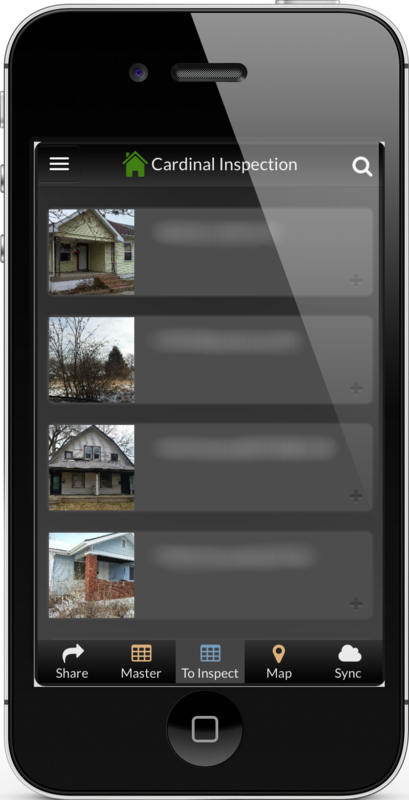 To present properties in an easily viewable way in the app, Kurt specified a "decked" action type for his "To Inspect" view. This way, users could quickly know which properties needed to be inspected without having to recall them from memory or shuffle through files. He also included slices in his app to show only properties that meet certain criteria, like whether they've been inspected or bid upon, for example. The features Kurt included in his app has allowed him, his team, and investors stay connected and share the same data and the same time, so everyone is always on the same page. The app frees them up from the headache of printing countless paper copies-- not to mention having to keep track of them all-- as well as time and effort spent keeping everything organized and up to date. He says, "We go out [to the properties] typically once a month, take a picture of the property- if the occupant is there we talk to them, see how things are going, take a peek inside, take some photos. That way the investor can open up the app and see, 'Hey, this is what my portfolio properties look like today.' So he or she doesn't have to call me every time asking, 'So-and-so didn't pay, can you go look at this property, is my yard sign still there' etc." Cardinal Management's involvement with distressed properties and vacant lots means the staff is often working alongside community members who are afflicted by poverty. Kurt talks about a few different occasions in which the company bought properties that were otherwise going to be torn down or cleared out for new tenants. One of these properties was a church whose taxes hadn't been paid. After Cardinal Management bought a property next to the church, they took the opportunity to donate it, as the church would not have had the funds to purchase the property. Kurt says simply, "The right thing to do was give it to the church." Now they can use it for rental income or to help community members. He says that his apps will help save a lot of time that was otherwise spent on paperwork, filing, recovering misplaced documents, etc., and that extra time will allow them to spend more on doing what Cardinal Management does best: providing people with opportunities to succeed. **Information in Kurt's app has been blurred for privacy reasons.